Total review of all banking credit risks, for management reporting and relationship banking dashboards. 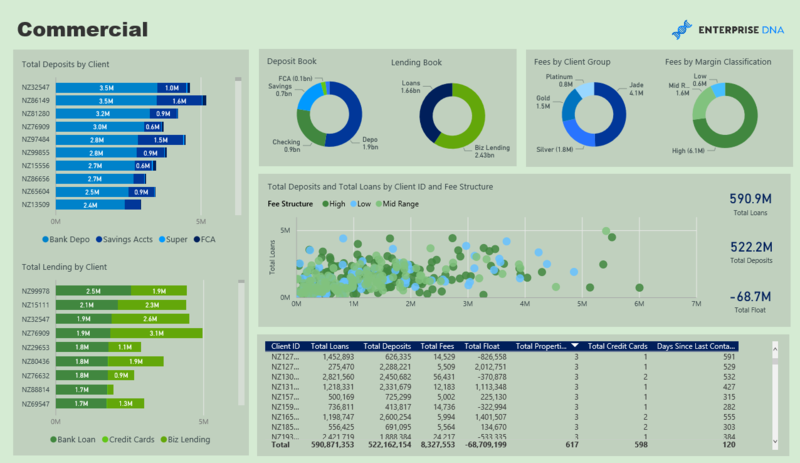 Drill into clients by relationship, location, risk weighting and more. 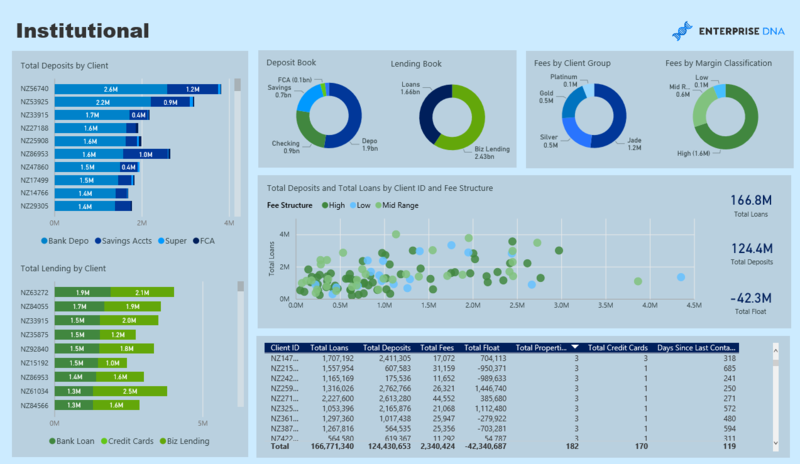 Identify credit risk at the regional level and/or drill into data at the individual client level. Review all current bank deposits and loans across all key areas of the bank including retail, commercial and institutional banking. Analyse fee structure and optimise future marketing spend. 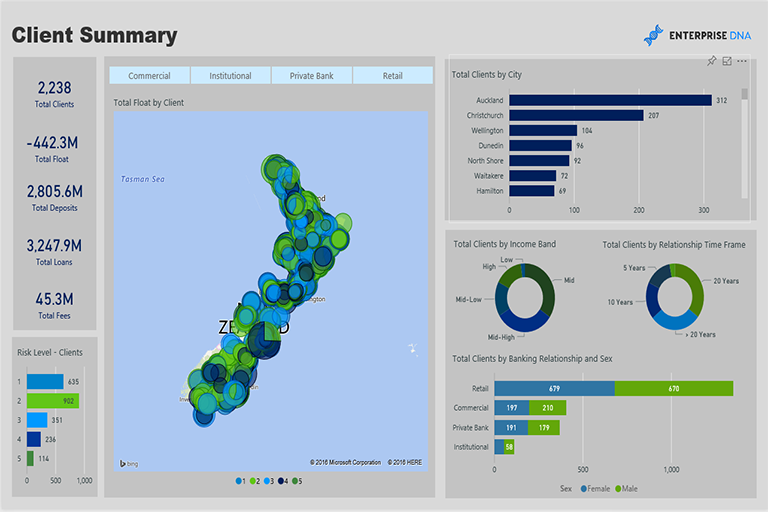 Client Summary - Where are your key clients located? Which regions or suburbs have exposure to the most loans or deposits? Drill into key client information. Switch between key areas of banking relationships. Client Details - Drill into key details at the client level. Quickly gain an understanding of where your greatest risks and opportunities are to grow margins. Retail/Commercial/Institutional - Breakdown of key relationship areas within a bank. Review loan and deposit books in these key areas, and quickly understand if pricing is appropriate and/or if marketing decisions should be changed to take advantage of current market opportunities.